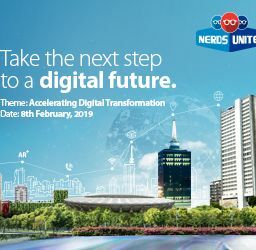 MainOne will for the third time host ICT stakeholders at its annual flagship event, Nerds Unite. With a focus on digital disruption with the theme “Radical Digital Transformation”, the 2018 edition will feature a keynote address from the author of Disrupting Africa: The Rise & Rise of African Innovation, Nnamdi Oranye supported by speakers from companies including Avanti, SAP Africa, Wema Bank, Andela and Microsoft among many others. The event which will hold in Lagos on Friday, the twenty-third of February 2018 is expected to bring together over 500 mid to senior ICT executives across multiple industries for intense innovation sessions featuring latest best practices and emerging trends in data center, collaboration, enterprise networking and cybersecurity among hot topics. Nerds Unite is also expected to provide unparalleled networking opportunities with all these professionals under one roof. The radical digital transformation being witnessed globally in recent times is the key focus of the event. 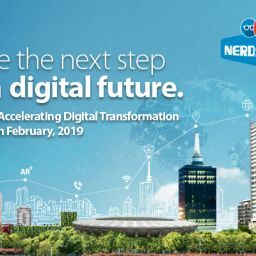 The event will have four predominant discussion tracks: “Disrupting the Nigerian ICT industry”, “Radical Digital Transformation: Perspectives across industry players”, “Digitalization and Business” and “The future of mobile content delivery in Nigeria”, with discussions led by executives from leading companies exploring various industries and the digital transformation altering industry verticals. Event participants will also be empowered with technical insights on the latest trends as it relates to the realities of the Nigerian environment and how these can be adopted for improved efficiencies for their respective organizations.